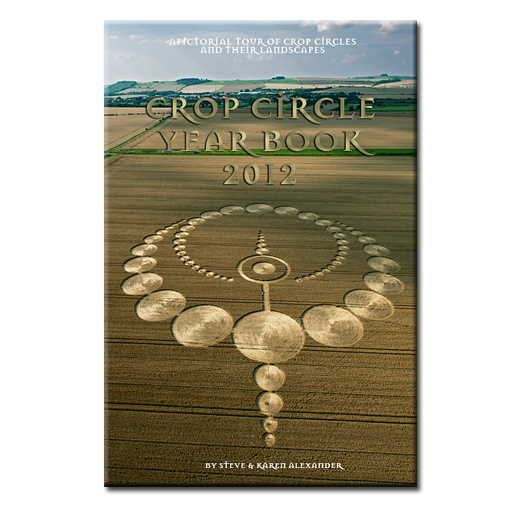 THE CROP CIRCLE YEAR BOOK 2012, is the fourteenth in a series of year books by Steve Alexander(photographer) and Karen Alexander (writer) portraying the beautiful and mysterious crop circle phenomenon within the UK. 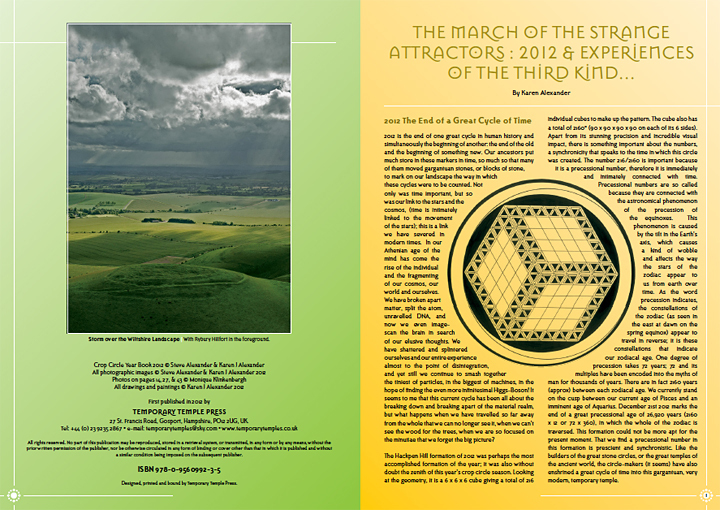 This popular series of full colour, fine-art-reproduction books are privately published in limited numbers and come to you directly from the authors; they have become an invaluable and magical window into the fields of southern England, and are the only annually published books on the subject. 2012 was a much-anticipated year, it has been much vaunted – the end of a great ancient cycle of time, symbolised by the end of the Mayan calendar. 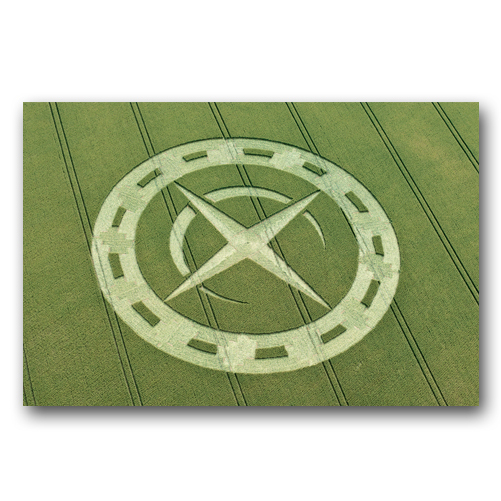 Had we had now reached a significant marker in time, was some kind great revelation or disclosure about to unfold? 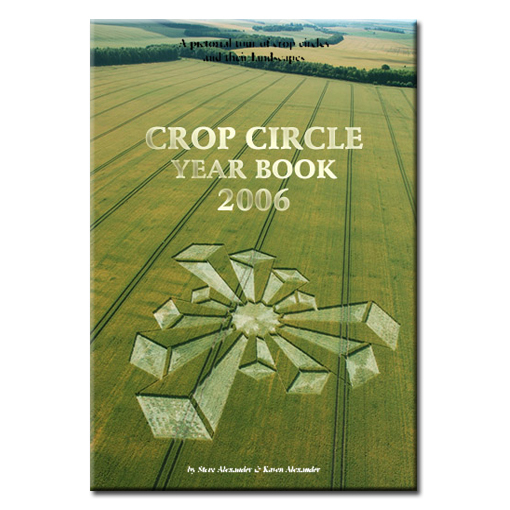 Certainly, the 2012 crop circle season would be significant in the run up to the last day of this cycle, December 21st; they would serve as geometric stained glass windows through which we may glimpse the light of deeper unconscious archetypes and wider cosmological patterns at work as they are made manifest in 3D reality. 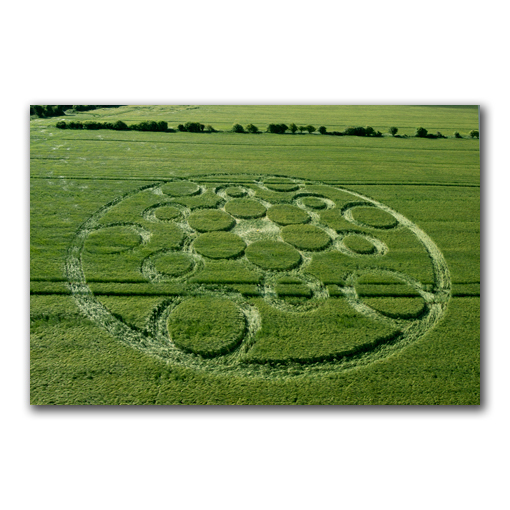 Fields of wheat, fields of consciousness; these two have become entangled to create the super-positional crop circle phenomenon. 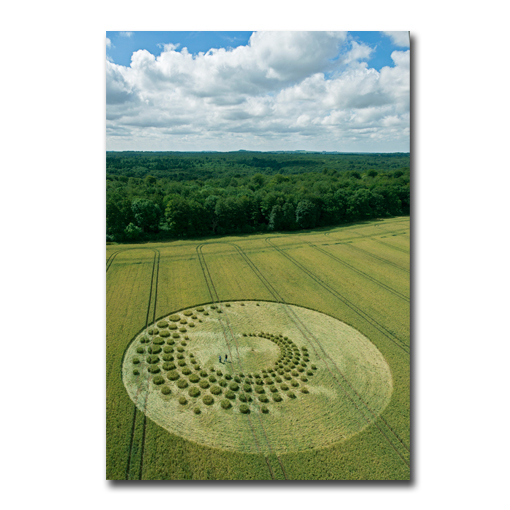 Like Schrödinger’s famous cat, the crop circles seem to hover vicariously between the real world and the realm of the imaginal. 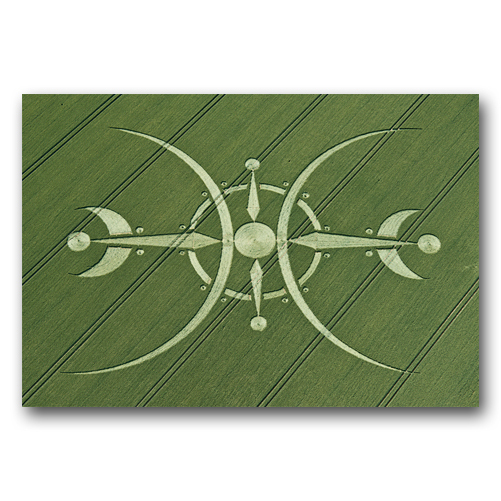 Like a waking dream, imagery, symbolism, visions and messages from beyond spill over from the shadowy kingdom of reverie and trance into the brilliant sunlight of the English countryside. 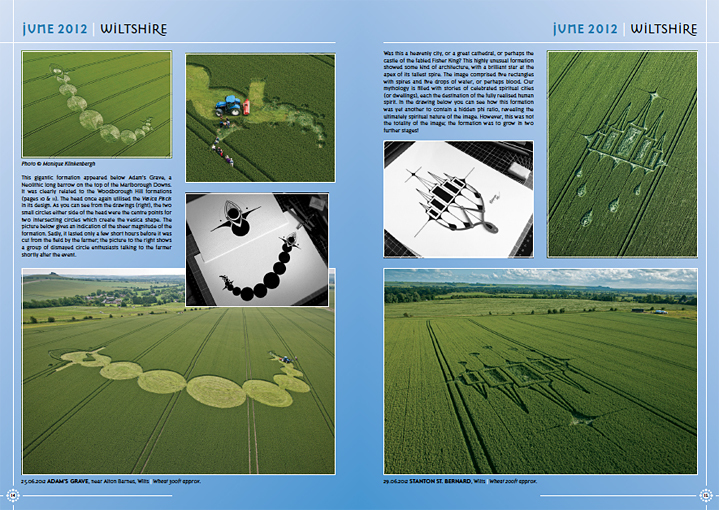 2012 brought us a thrilling exhibition of diverse imagery; portraits of beings beyond our realm – dragons, serpents and angels. An image of a grail castle, with a lance and drops of blood, (or perhaps a heavenly city topped by a shining star?) A gigantic never-ending labyrinthine knot containing sixty-four twists and turns, a polar clock, a bouquet of many flowers strewn upon the landscape (including a delicate rose and a flower of life), and finally a mind-boggling, multidimensional cube with windows onto the beyond. 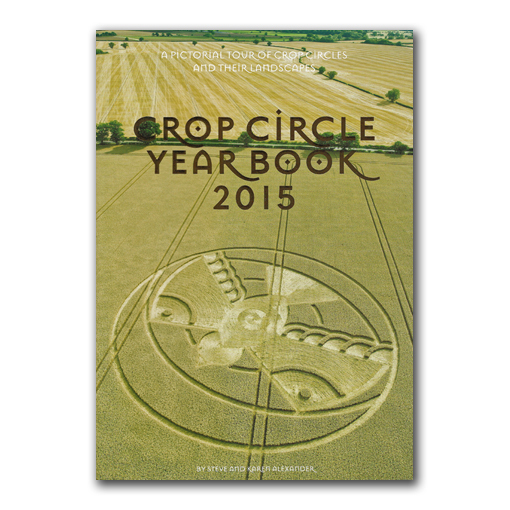 About the Crop Circle Year Books: The crop circle year books are carefully considered, beautifully designed books. 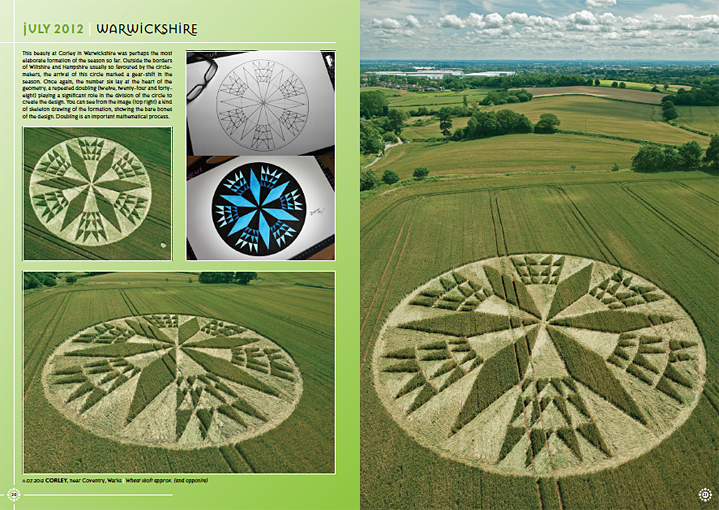 Filled with stunning photography, including many full page landscape views of the crop circles along with overheads and detail shots – by Steve Alexander. 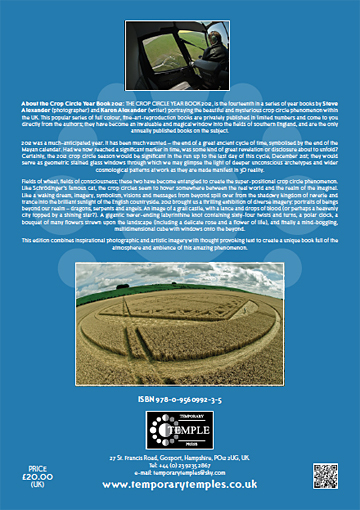 The photography is accompanied by articles from Karen Alexander and incisive commentary text throughout. Our Year Books are our flagship product. Self published in small numbers (no big publisher or distributors), they come directly from us to you. 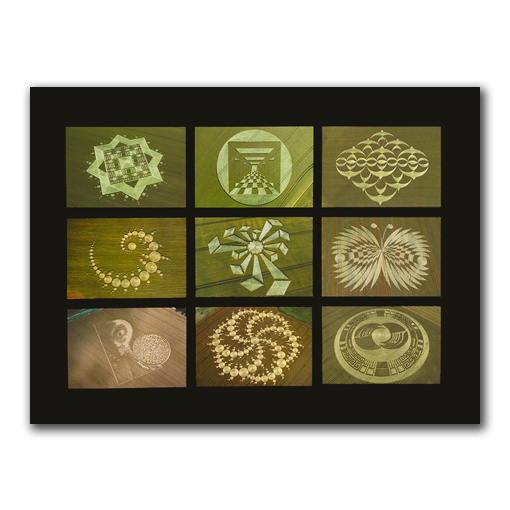 Printed on satin finish paper, the materials used to produce these books are top quality. The covers are laminated with gold foil titles. Our books are true collectors items, treasured by all those who have them. 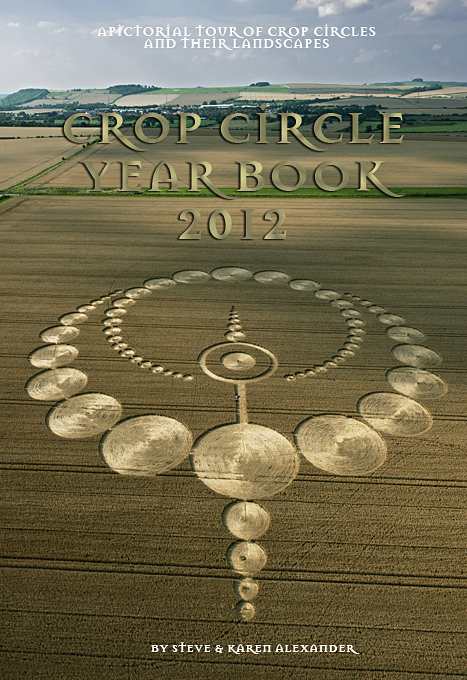 In fact they are generally considered to be the most important crop circle document of the year. 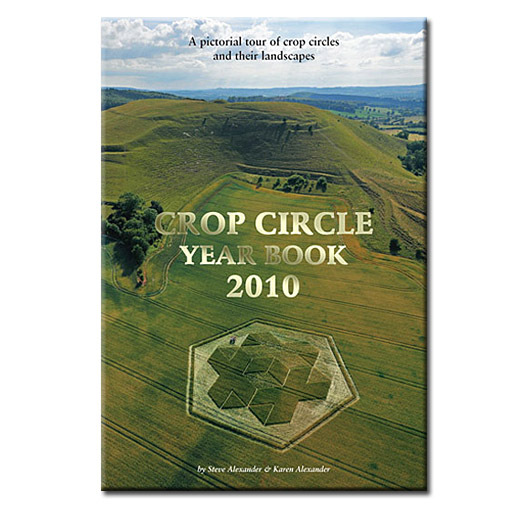 Proceeds from the sales of these books go directly to fund our continuing coverage of the circles.